i have been seeing fit sports with black or unpainted fog lights. are these honda fog lights that are non painted? i see, i was thinking that it was just the black urethane plastic housing. do they have any that are just non painted? Aside from painting them, there are also aftermarket fog lights that have a black, apparently unpainted housing. I see them on eBay all the time but haven't been able to get a clear answer as to the quality of the wiring. 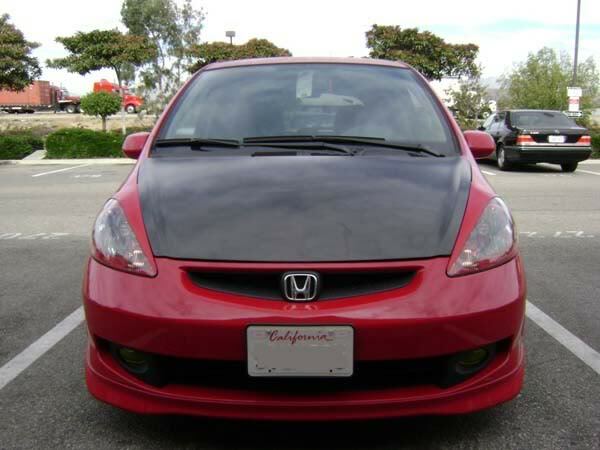 Honda has retrofit fog lights for the base Fit that also have a black housing. You can find them here. 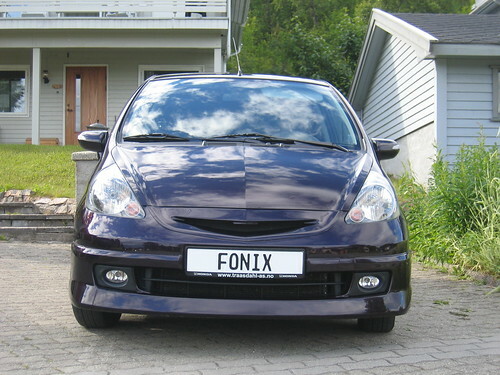 Mine is unpainted and just black plastic like the same stuff as the lower grill. Not sure what type of plastic, but they are original Honda fog-lights. since i already have the sport with the fogs, can i buy the base fog lights and just swap out the housing? Last edited by Kishore; 11-27-2008 at 12:30 PM. i saw those lights. will those fit on the sport as a perfect replacement? aftermarket ebay black foggies swap out easily with the sport...just toss the wiring.